Supreme Court (SC) of the Philippines announces that syllabus for 2013 Bar examinations is now available for download. In the latest Bar Bulletin no. 2, Atty. Ma. Cristina B. Layusa, Bar Confidant states that " THE SYLLABUS (FOR EACH SUBJECT) FOR THE 2013 BAR EXAMINATIONS IS NOW AVAILABLE FOR VIEWING AND/OR DOWNLOADING AT THE SUPREME COURT OFFICIAL WEBSITE SC.JUDICIARY.GOV.PH. " Examination coverage is divided into Labor Law, Political Law, Criminal Law, Civil Law, Mercantile Law, Taxation Law, Legal Ethics and Remedial Law. Covered topics is not intended and should not be used by the law schools as a course outline. This was drawn up for the limited purpose of ensuring that Bar candidates are guided on the coverage of the 2013 Bar Examinations. Listings whose subject matters run across several Bar Subjects shall be deemed to include only the subject matters specific to the given Bar Subject. For example, “Impeachment” is generally a topic under Political Law but is listed also under Legal and Judicial Ethics for the ethical components of this Bar Subject. Note that there may be specific identification of the covering Bar Subject where a topic may be common to several Bar Subjects. For example, “Independent Civil Actions” mentioned in the Civil Code shall be included as a topic in Remedial Law rather than in Civil Law. Note also that many special laws, rules or specific topics, otherwise covered by the different examinable Bar Subjects, have been omitted or are expressly excluded from the coverage of the 2013 Bar Examinations. Subject may require the consideration of underlying ethical rules and values. 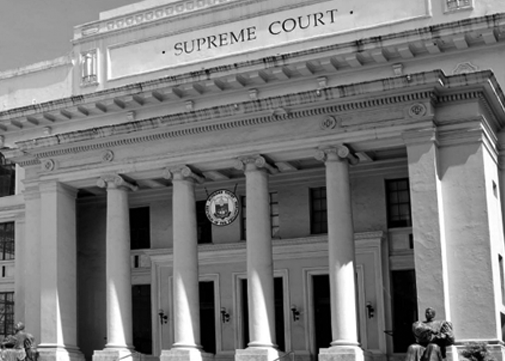 All Supreme Court decisions - pertinent to a given Bar subject and its listed topics, and promulgated up to January 31, 2013 - are examinable materials within the coverage of the 2013 Bar Examinations.